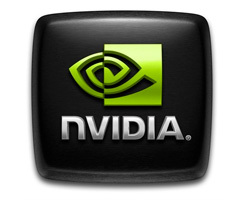 NVIDIA issued a new beta driver this morning. It's the full monty and includes the PhysX drivers as well. The driver has precision GeForce Forceware Vista 177.92 and supports GeForce 6-series, 7-series, 8-series, 9-series, and 200-series GPUs, including the newly released GeForce 9800 GTX+, 9800 GT, 9500 GT, and 9400 GT GPUs. Adds support for NVIDIA PhysX acceleration on all GeForce 8-series, 9-series and 200-series GPUs with a minimum of 256MB dedicated graphics memory (this driver package installs NVIDIA PhysX System Software v8.08.18). Adds support for 2-way NVIDIA SLI technology with GeForce GTX 200-series GPUs on Intel® D5400XS motherboards.